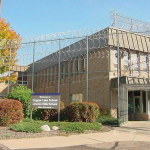 Wisconsin Community Services creates opportunities for offenders and ex-offenders with mental illnesses and addictions as well as high-risk youth and adults. 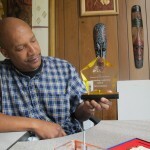 The organization recently won the 2012 BMO Harris Bank Cornerstone Award at the MANDIs (Milwaukee Awards for Neighborhood Development Innovation) awards ceremony. 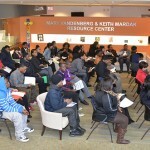 A recent career fair for Boys & Girls Clubs of Greater Milwaukee drew 265 applicants to fill about 50 positions at local clubs throughout the city. 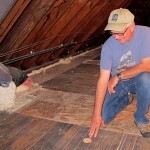 If you’re interested in lowering your energy bills, the Milwaukee Energy Efficiency (Me2) program may be right for you. 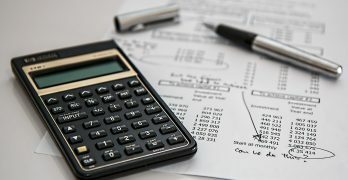 The program, designed to help homeowners save money on energy costs, is recruiting in Layton Boulevard West, Lindsay Heights, Thurston Woods and other central city communities this spring. 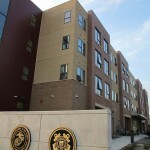 Built in 2011, Veterans Manor Apartments in Milwaukee is the only establishment of its kind in the state of Wisconsin. 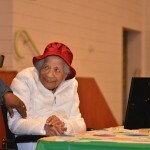 It offers residents a comfortable place to call home and services such as an on-site counselor, weekly support group meetings and, most of all, a sense of community. Veterans Manor won the 2012 PNC Trail Blazer Award at the MANDIs (Milwaukee Awards for Neighborhood Development Innovation). While Latinos seem to agree that there should be more Latino state representatives from the south side, they disagree which redistricting map is most likely to accomplish that goal. 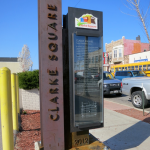 Nearly a year after decorative markers intended to help “brand” Clarke Square were completed, they have been installed at five locations throughout the community. LISC Milwaukee recently honored 16 organizations for their work to improve their neighborhoods at the 13th Annual MANDI Awards. 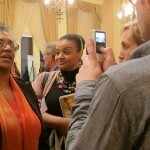 More than 700 corporate leaders, neighborhood activists and government officials attended. 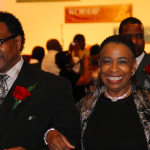 After 40 years of marriage, Leroy and Lilly Riser of Milwaukee renewed their vows Sunday along with hundreds of other couples in celebration of National Black Marriage Day. 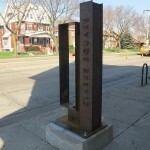 Nearly a year after permitting problems delayed the placement of decorative gateway markers in Clarke Square, the first of five markers has recently been set on South Layton Boulevard.